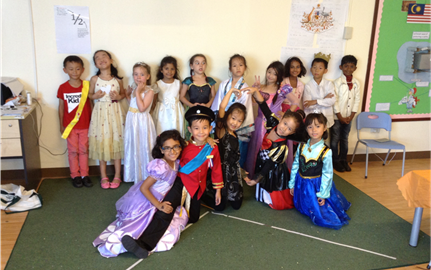 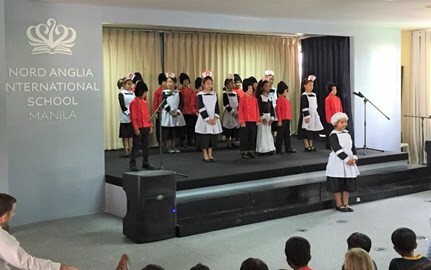 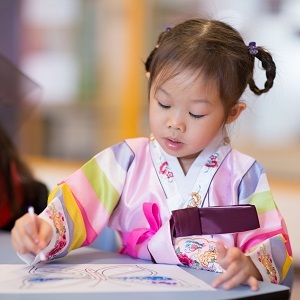 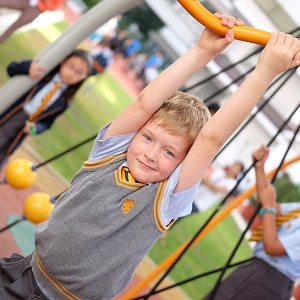 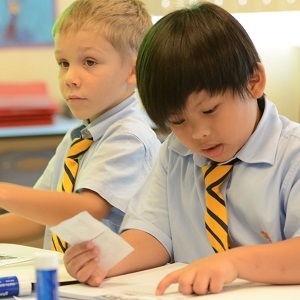 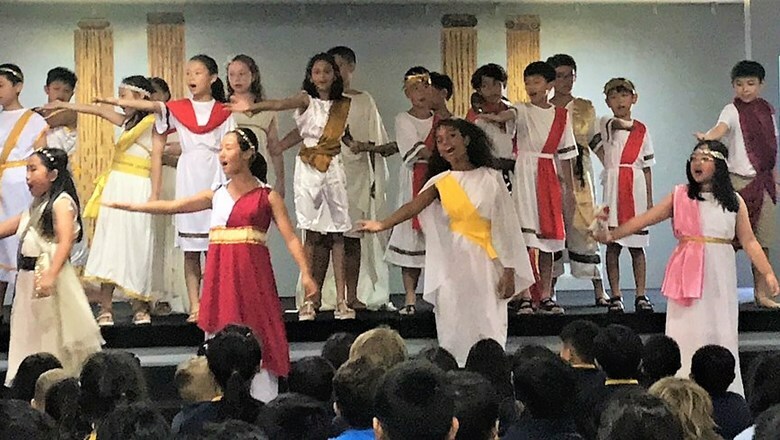 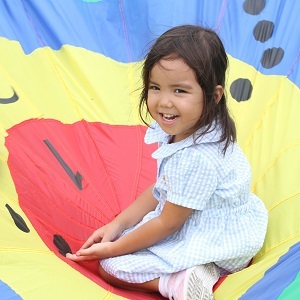 Class assemblies are a great time to showcase what the children have been learning in class as well as the acting and singing talent of the students. 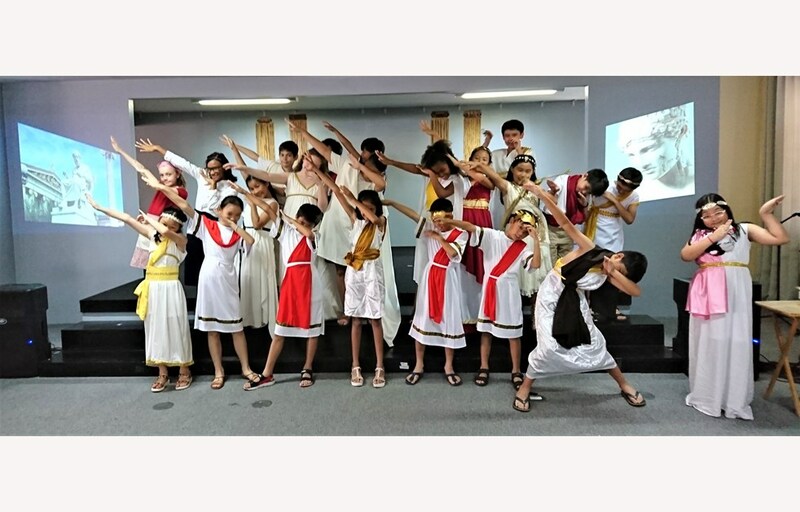 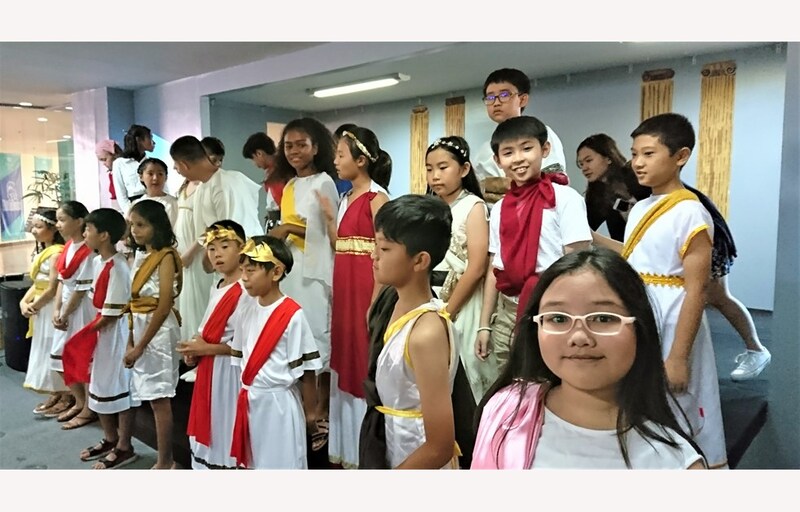 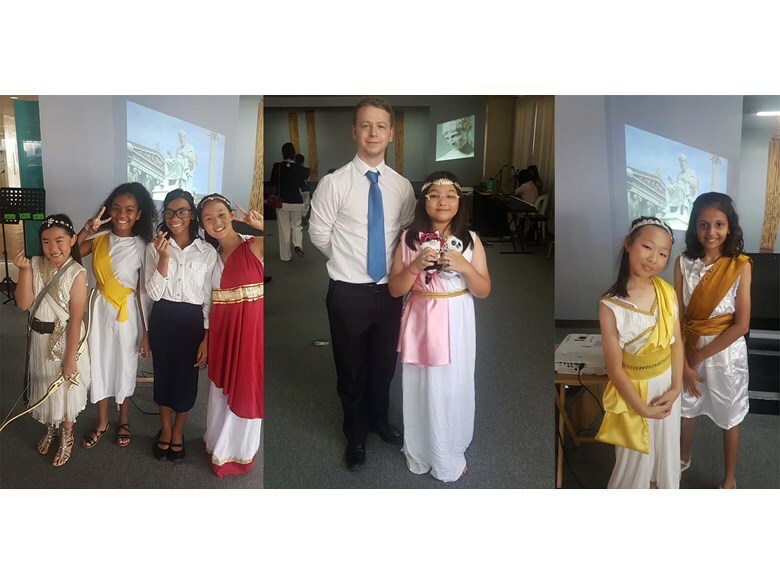 The setting for our assembly was a Greek day at school, with the children coming dressed as Greeks. 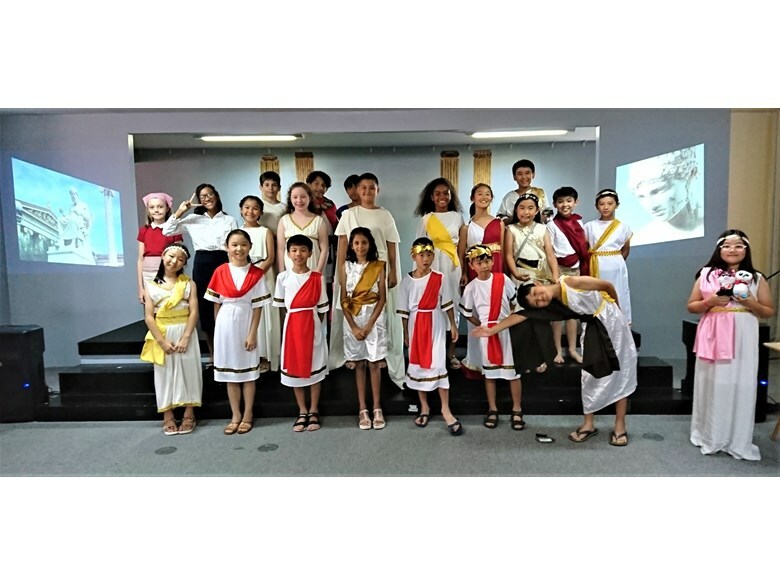 We used a backdrop of Greek columns and projected statues onto the side of the stage. 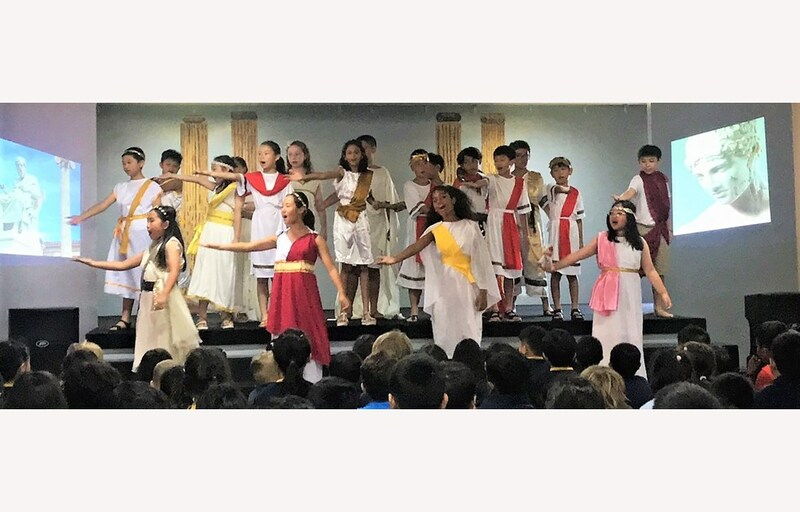 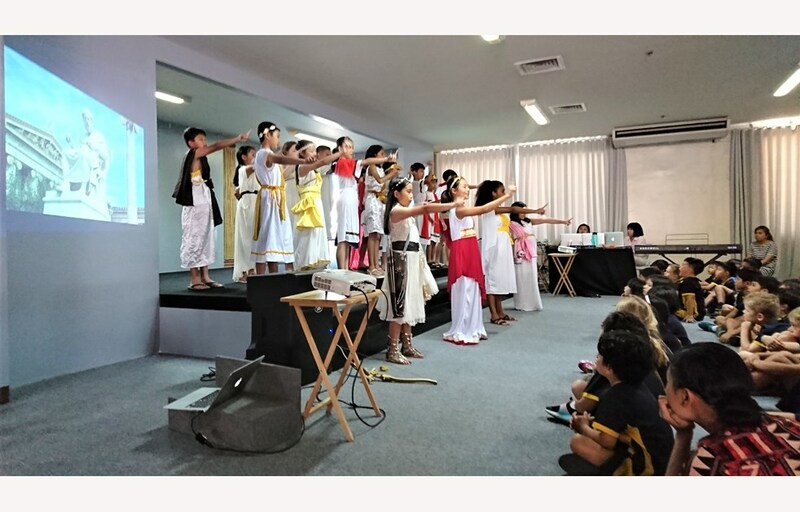 It was a fun-filled assembly full of singing and dancing, set in the land of Ancient Greek myths, fables and legends.